The first time I ever had poke was out of the deli case at a small grocery store on the Big Island of Hawaii. There weren't toppings or sides. It was simply a question of which of the three freshly caught marinaded fish options I wanted spooned into a small plastic deli bowl, paid for by the pound. And it was mind-blowingly delicious. In fact, everywhere I had poke in Hawaii had a distinct fresh flavor, hard to capture elsewhere. There the snack has a long history. While there is much argument about when the word "poke" was first used and how the dish has developed over the years, Hawaiians have long been cutting up fresh fish, seasoning it with local ingredients (often seaweed, salt, and crushed nuts), and making a tasty sort of raw fish salad. It wasn't, however, until the last 40-50 years that poke as a dish really gained widespread popularity. "Poke" technically just means to cut cross-wise into pieces, but over the years the word has come to primarily refer to the sort of pieces of fresh, raw, seasoned fish we know. As the dish has stormed through the trendy food world in the last few years, what exactly constitutes "Hawaiian-style poke" has also become hotly contested. 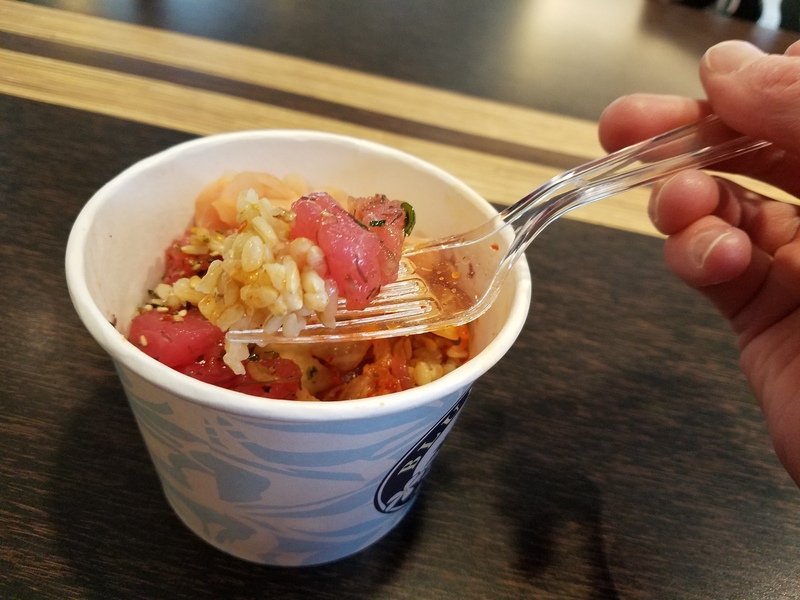 In Hawaii, poke tends to be served as a pre-mixed marinade either eaten on its own or simply with a small side of rice and perhaps seaweed, crab meat, or kimchee. One of the most popular versions is a bowl of ahi shoyu poke (a mix of tuna, soy sauce, sesame oil, green onions, white onions, and chili pepper). Of course, there are regional poke varieties everywhere and a range of styles even in Hawaii, where the legendary chef Sam Choy also serves up fried poke. 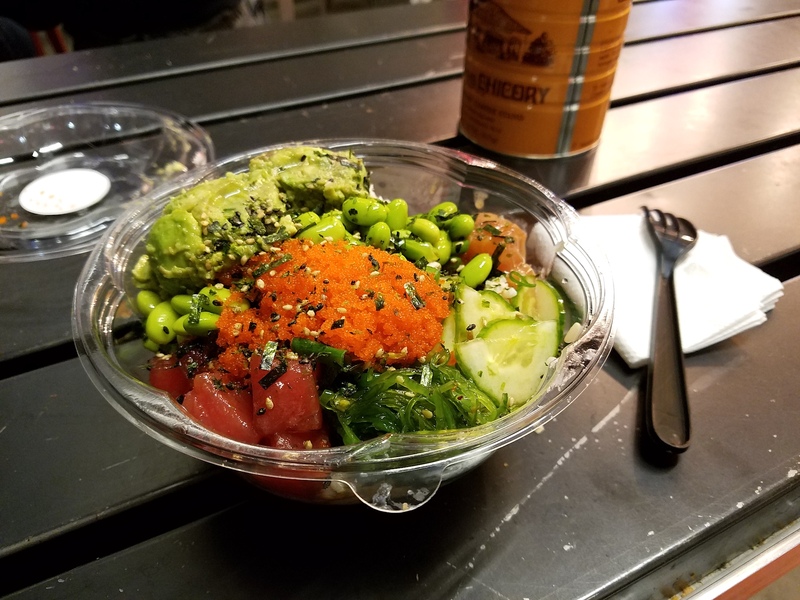 But here in the Bay Area, poke bowls have taken on a customizable aura, with customers choosing from a variety of bases, proteins, toppings, and sauces. It's not exactly the same, but it's not exactly different either. 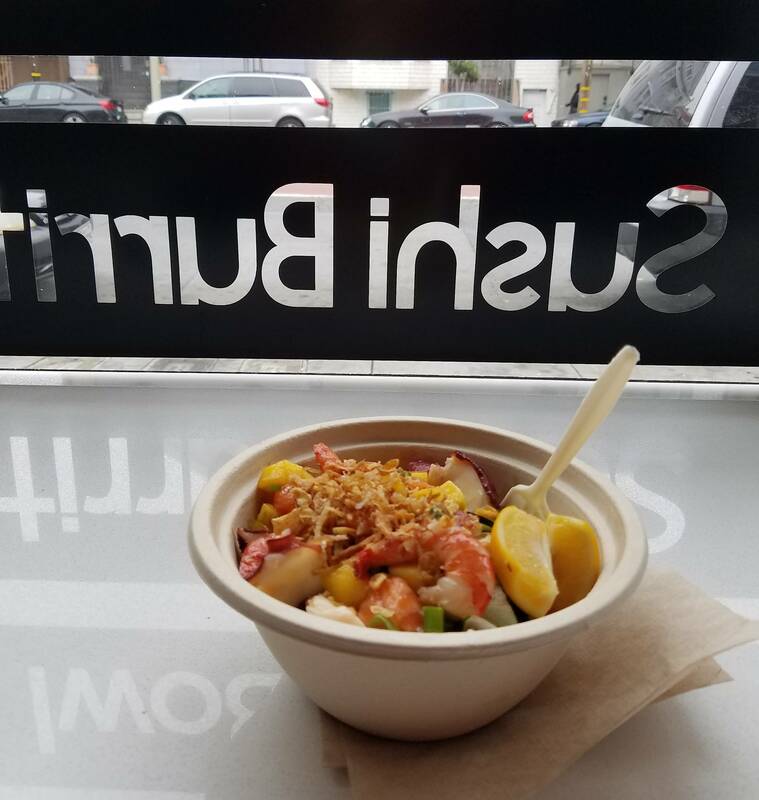 If you're looking for poke bowls in San Francisco, here are five places to start with — though there are a constantly growing number of options. If we missed your favorite, let us know in the comments. If make-your-own assembly-line-style poke bowls are the San Francisco version of the dish, then Our Poke Place (abbreviated O.P.P.) takes that up a level with its array of topping choices and its California touches. 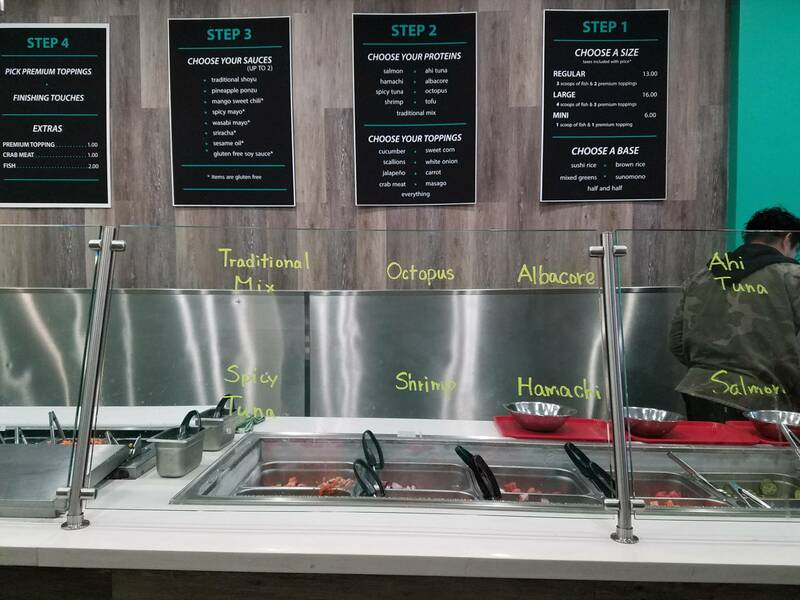 Go down the counter line and pick your poke bowl makings from the array of options. 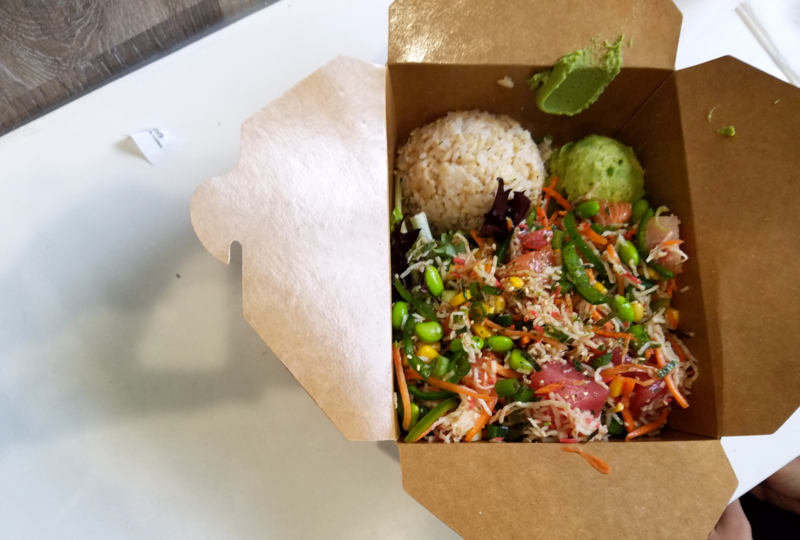 Along with the standard bases (brown rice, white rice, or salad), Our Poke Place has a sunomono base (a cucumber salad). And then add your fish or tofu, toppings, premium toppings, and sauces. 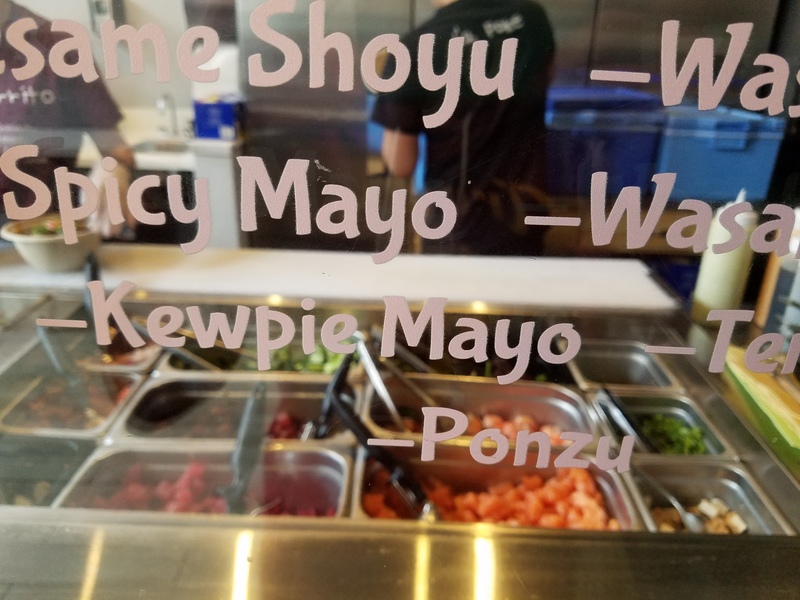 It's the range of toppings and sauces that Our Poke Place is known for. That includes things like Inari (a type of rice ball), strawberries, or even a dusting of Flamin' Hot Cheetos. I, however, stuck with the standard poke bowl makings. Jeannie Ho opened Our Poke Place in early-2017 in the Mission, next door to her parent's sushi restaurant, Tao Yin, which has since closed and reopened as Little Kite. The place is small and bright, with teal green counters and a dozen seats. Think of it as your neighborhood quick poke spot: small, clean, and fresh. I made my own bowl, with a mix of my favorite poke combos: tuna, salmon, and their own "traditional mix," and then added crab meat, masago, cucumber and onions on top. You can add your own seasonings and furikake at the counter. The portions were very generous and hard to finish, though the "bowl" comes in a large brown paper to-go container, which can get a bit unwieldy and soggy. The fish tasted fresh, though fairly bland; it was more of a blank slate to add sauces and toppings to. This is the place to go for a quick, healthy, inexpensive meal — and make it what you want. Opened in April of 2016, I'a does poke bowls and sushi burritos — both with make-your-own options or their signature recipes. If you opt to make your own, the process is fairly standard: choose a white or brown rice or salad base, pick your fish, add toppings like seasoned seaweed, mango, radish sprouts or cucumbers, and then top with a sauce. If you order a large bowl (or burrito), then you also get unlimited toppings. Owner Raymond Chu has said he gets his salmon farmed from Canada, Norway and Scotland, and tuna fresh from Hawaii. 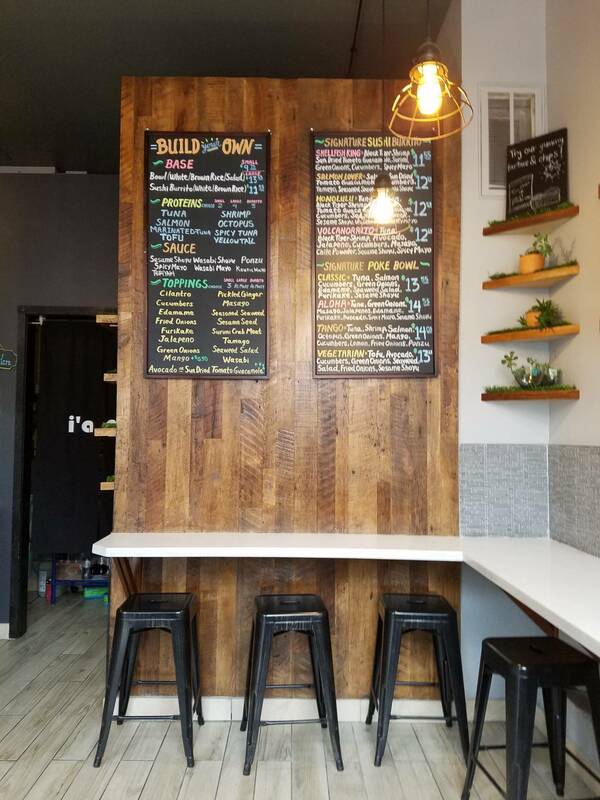 Though I went to the original I'a Poke in the Castro on Church Street, the sushi burrito and poke restaurant actually has two locations now, with a third scheduled to open on Fillmore later this year. The Church Street spot is primarily for take-out, with just a handful of counter seats, but is clean and modern-looking. 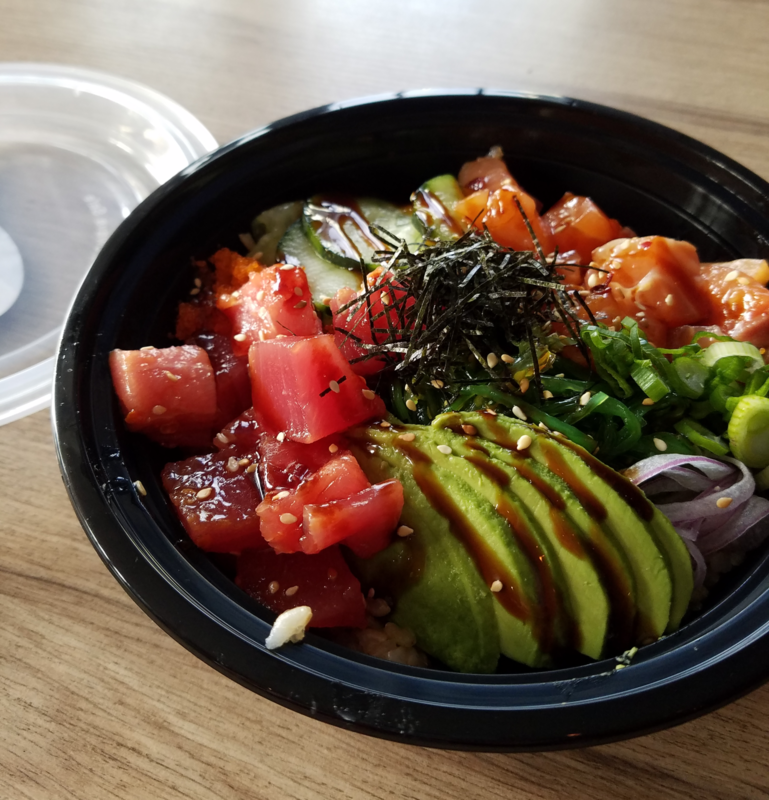 To get the I'a flavor, I tried one of their signature poke bowls, the Tango bowl, which comes with tuna, shrimp, salmon, octopus, green onions, mango, cucumber, lemon, friend onions, and ponzu sauce. 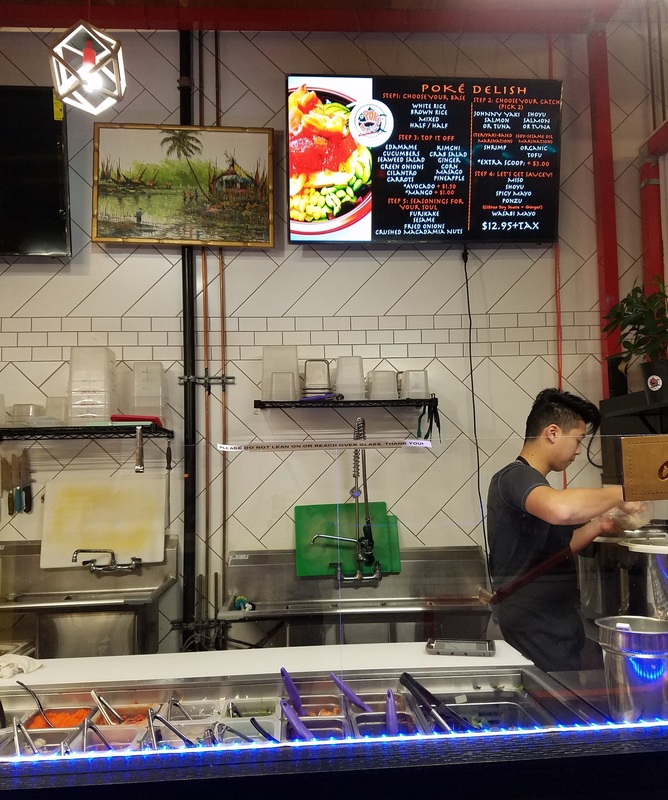 The staff behind the counter mixes everything together in a separate bowl, so that all your toppings and protein are fully combined and flavored with your chosen sauce before being poured on top of your base. It may not be as pretty that way, but it does guarantee a better distribution of flavor. The Tango bowl was fruity and sweet, though the sauce was fairly light and not overwhelming. While I wasn't in love with the octopus, which was slightly tough, the salmon and tuna were both fresh and were complimented well by the onions, lemon, and mango. If I go back, I would consider building my own sintead to take advantage of the full spread, and I'd order some of their popular spam musubi on the side. 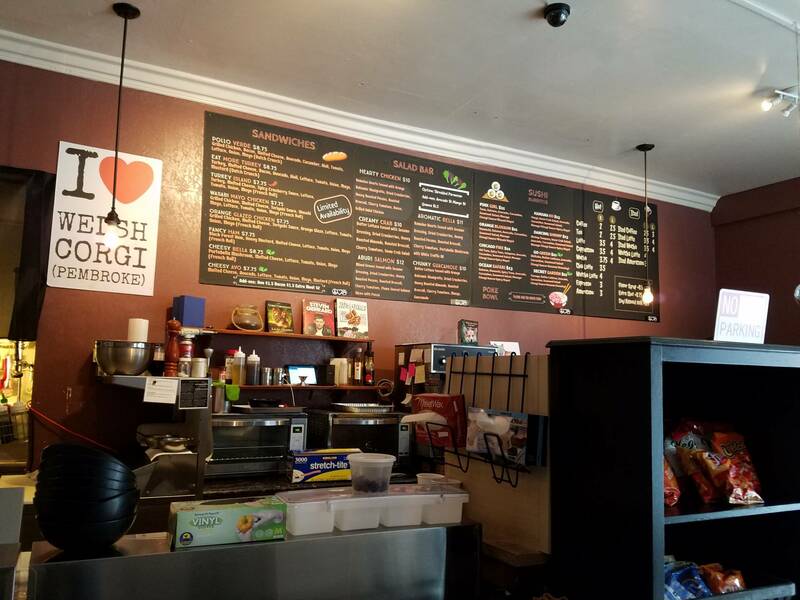 This deli and cafe near the Panhandle might be the oddest place on our list, but tucked amid the corgi- and dog-themed decor are some fresh and popular sushi burritos and poke bowls. The cafe used to be a straight-forward sandwich and salad spot, but began serving poke bowls and sushi burritos in mid-2016. The choices are relatively simple — salmon, ahi tuna, spicy tuna, with sides like edamame, onion, and seaweed salad — but it's known for the quality of its ingredients, even sourcing its salmon from fresh catches. The only downside is they can run out of ingredients early in the day. As opposed to moving down a cafeteria line and picking out your bowl preferences, here you have to ask for an order form and check off what you want. Since you can't always see what looks good or is still available, the staff is ready to answer questions and make suggestions. Toppings and sauces are unlimited and you can either have two scoops of protein for $12 or three for $14. I opted for a classic poke bowl with the salmon and ahi tuna, seaweed salad, onion, cucumber, masago, avocado, and the unagi sauce (though, if you're looking for spice, the wasabi mayo is highly recommended). 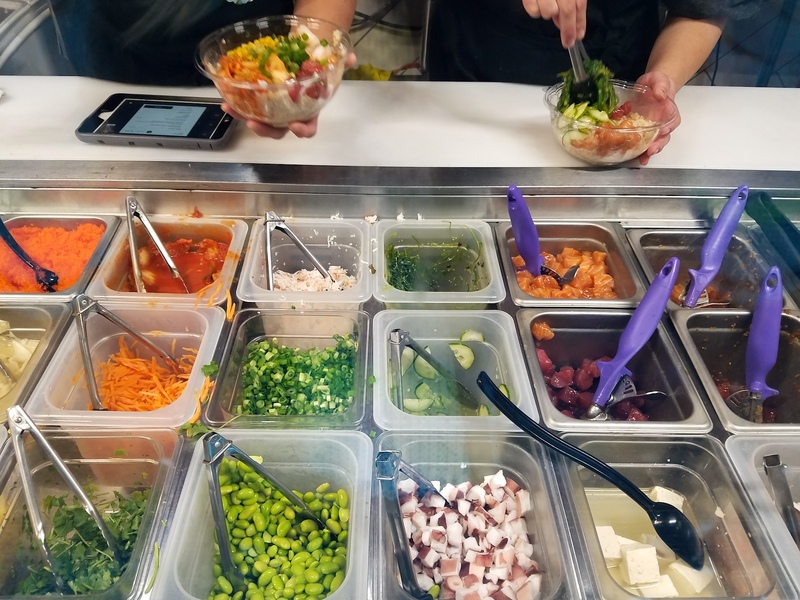 Preparation takes longer than your typical make-your-own poke place, and the toppings (which they call "sides") are laid attractively on top of your base instead of all mixed together. I found everything very light and fresh, with surprisingly high-quality fish and very tender ahi tuna. Though the toppings aren't particularly unique, the seaweed salad complimented the rest of the bowl well, and really it's all about the fish here. The small bowl was a decent-sized snack, but not overwhelmingly filling. There are plenty of tables in the cafe to sit and enjoy your food, or pop a lid on the bowl and take it to go. 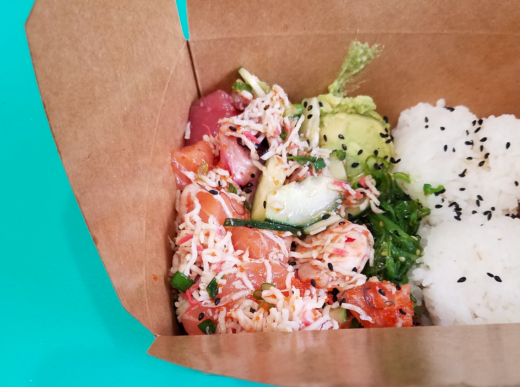 A word of warning: The food hall Myriad Market, which has been Poke Delish's home base since it opened in early 2016, is closing at the end of February. Until then, Poke Delish's owner Danny Eng is offering a 50% discount on your second bowl if you order two. 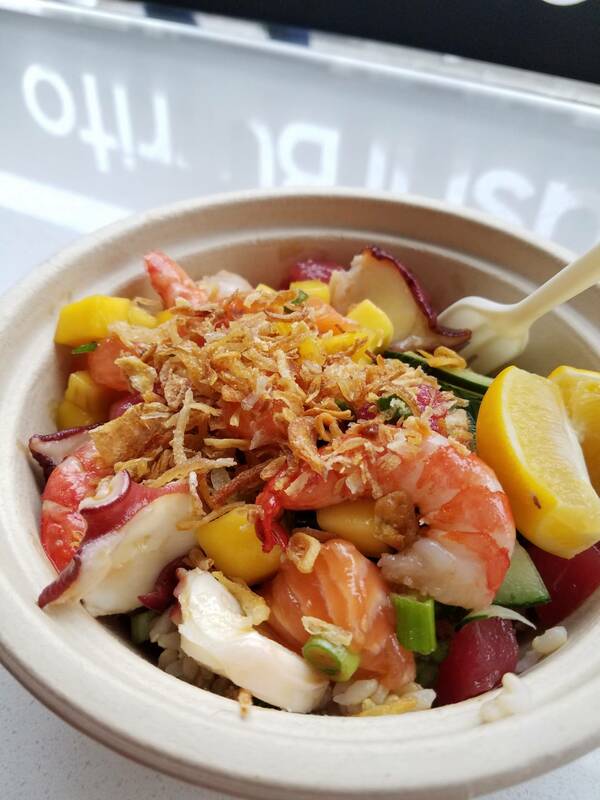 The poke restaurant also has launched a food truck based out of Spark Social, and plans to open another location in Chinatown later this year. 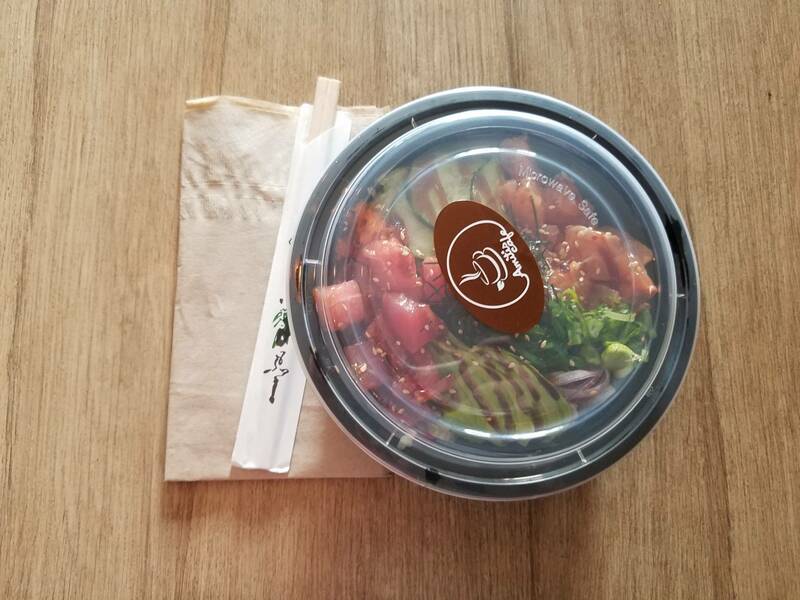 So you'll still be able to get your Delish poke. Poke Delish was opened by brothers Danny and Johnny, who also own Seattle-based Tailgate Seafood. 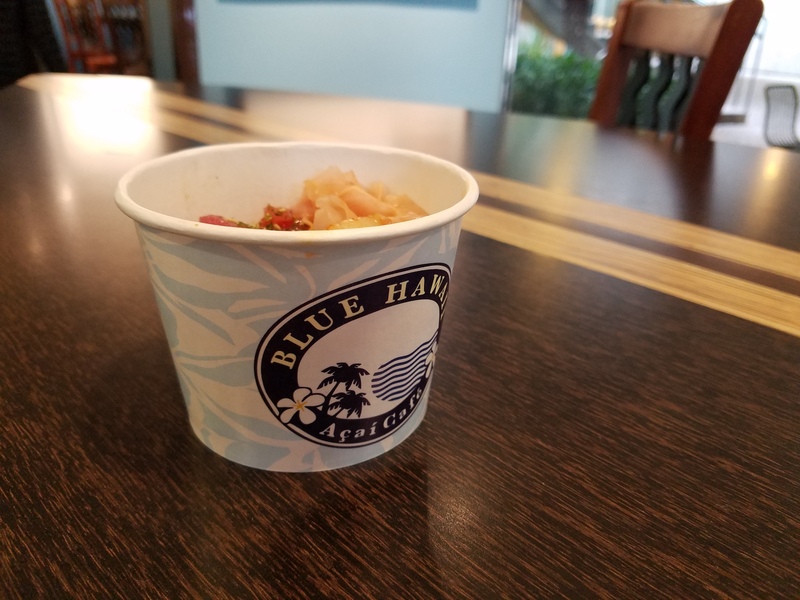 They've tried to maintain their fish standards with their poke endeavors, and have said they source the salmon from antibiotic-free fish farms in Norway and bring in seasonal specials, like tuna from Hawaii. While Poke Delish was one of the earlier Bay Area spots to launch a customizable poke bowl, at this point the process will seem normal. Start with a base of rice (brown or white) or salad, pick salmon, tuna shrimp or tofu (which comes marinated), then add things like masago, pineapple, kimchi or crab salad, and top with your choice of seasonings, including furikake or macadamia nuts. The store also sells Hawaiian drinks, like cans of lychee juice and Lilikoi Passion. One of the things that makes Poke Delish stand out are the house-made marinades. I opted for my salmon in their specialty Johnny Yaki sauce, a sort of sweet and mildly spicy Teriyaki sauce, and got my tuna in the shoyu sauce. Letting the fish marinade definitely allows more flavor to soak in and gives the bowl more oomph. Toppings are unlimited and can weigh down the bowl, which probably isn't worth it, since you want to be able to taste what it's really all about: the fish. The only downside was, by the end, I still had rice left, but nothing to go with it. 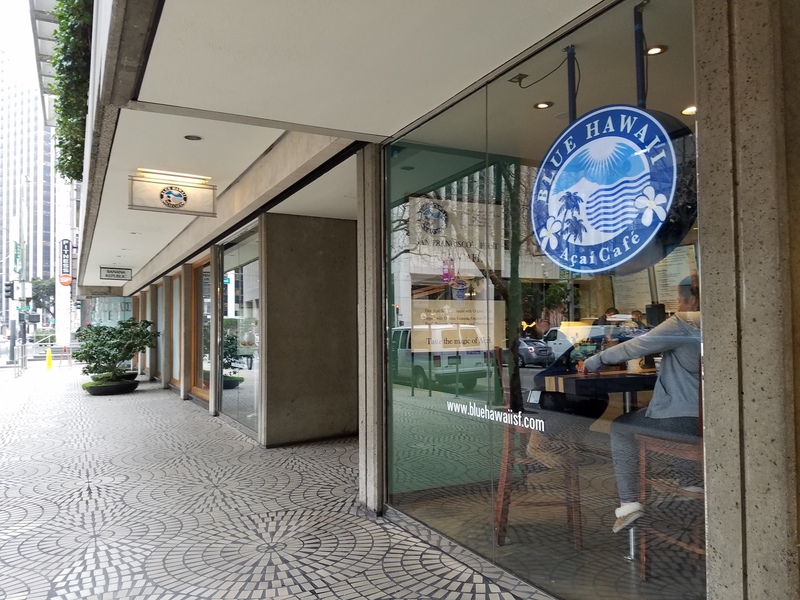 In the debate over Hawaiian-style poke, Blue Hawaii Acai Cafe lands in the more traditionalist camp. Owner Ken Weller opened this spot on Davis Street, on the first floor of the Embarcadero Center, in 2010 after opening another shop in Honolulu. He does acai bowls (another Hawaii classic), smoothies, and poke bowls out of the small cafe with surfboard shaped tables. But this is not your make-your-own poke bar. Poke bowls come in only one style: a small cardboard bowl with brown rice and topped with furikake, ginger, and kimchee. You simply pick if you want spicy, mild, garlic, or a combination. They start serving up poke at 11 a.m. one weekdays, and when I got there at 2:30 p.m. they had just run out (though they assured me they were hoping to start extending their service soon). The staff did find a little bit of poke left, not enough for a full bowl, but enough for me to have a small tasting. I opted for mild, but it was still fairly spicy. While the normal-sized servings are still small and some people may miss the variety of toppings, the focus here is 100% on the fish, which is seasoned and marinaded before it comes to you. Add double the poke for $5.75.